Fiber is essential to supporting the development of "Smart Cities." Defining a Smart City is not easy as it is broad in scope and requires forecasting the development of new technologies. Also few of those involved in the various aspects of what makes up a Smart City have the same view of what it means as they see it from only their point of view. Let's list some of the services involved in a Smart City. Communications - Communications is the central focus of smart cities - communications among city departments and organizations, within the city for residents and visitors and links to the outside world via data (Internet), voice (landline and cellular) and video entertainment (CATV and OTT). 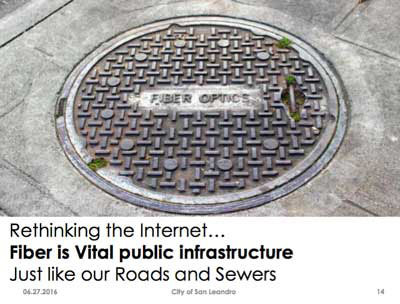 A proper communications infrastructure will require a city-wide high speed fiber backbone with sufficiently fast connections to the worldwide Internet backbone that neither capacity nor speed is an issue. The fiber backbone provides the connectivity for all the options listed below as well as fiber for citywide ISP connections to the businesses and residents. Progressive cities like Santa Monica, CA have built their own city backbones that provides for city-wide communications for all the city's uses and then provides fiber and or connectivity to other service providers and businesses in the city. 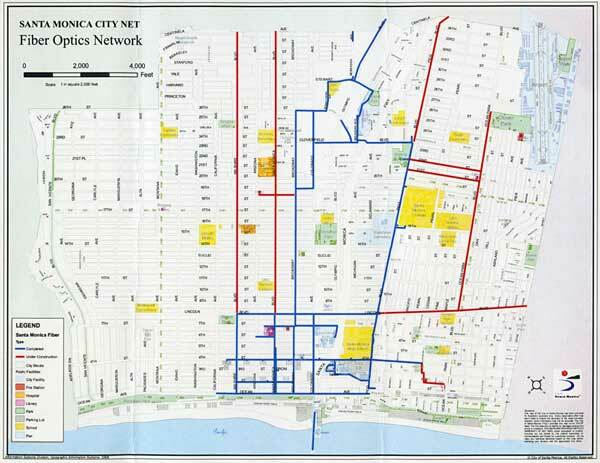 The Santa Monica CityNet backbone, for example, also serves FiOS FTTH customers and Spectrum CATV networks. In addition it connects many businesses, large and small, with up to 100Mb/s service. In an urban area, fiber to the home (FTTH) and business is expected, although some alternative services like future generations of wireless may provide adequate capacity. Outside the urban center, fiber backbones may be used with wireless or DSL to connect users if adequate bandwidth can be provided. The fiber backbone provides connections for multiple wireless service providers, both cellular and WiFi, to ensure a competitive marketplace. With the advent of small cells, any utility pole, street light or traffic light can provide quality wireless services without the unsightly cell towers or sites that urban dwellers dislike, even as they want state of the art wireless communications. Enough fiber and backbone capacity is needed to provide DAS (distributed antenna systems) services to large buildings both private and public, college campuses and sports facilities. That same backbone also allows Internet service and CATV over a hybrid fiber coax (HFC) network, preferably with multiple competitive services. Having high speed Internet to all citizens allows the choice of conventional CATV services or Internet based viewing packages which are gaining in popularity. 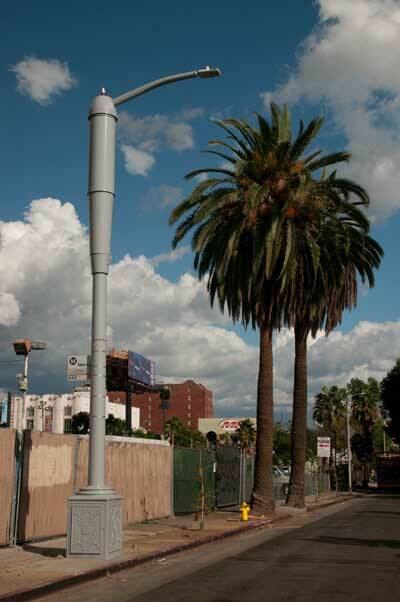 The city of Los Angeles is installing these smart street lights - LED lighting with small cell wireless antennas hidden in the wide section of the light pole near the top. 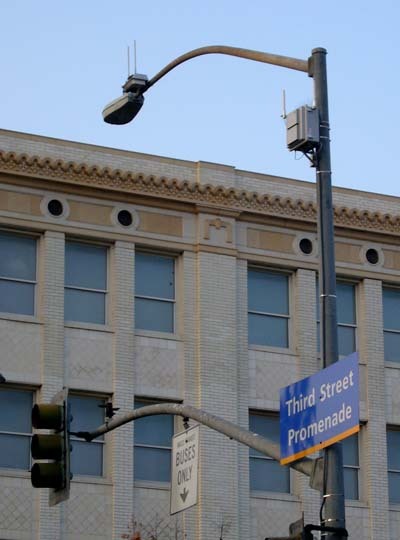 Small cells allow cities to have good cellular service without unsightly cell towers. Transportation and Traffic management - smart traffic signals, video and radar monitoring of traffic, parking and creating a vehicle-to-vehicle and vehicle-to-infrastructure communications environment that will facilitate autonomous traffic in the future. Public transportation is fully managed, online information and booking provided, wireless available to riders. 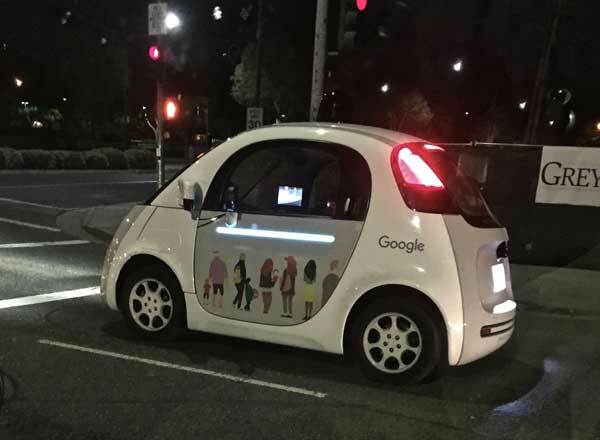 Autonomous vehicles like this will certainly have lots of onboard sensors and information processing to drive on the streets with regular cars. But engineers involved in developing cities of the future seem to believe that having cars talk to each other and with numerous city services - smart traffic signals, traffic signs, information from video surveillance as to the location of other vehicles, pedestrians, bicyclists, etc. will simplify the task of the vehicle itself and make it operation safer. Public Safety Communications - using communications to make the public safety divisions -fire, police, ambulance, etc. - more responsive and more responsible. 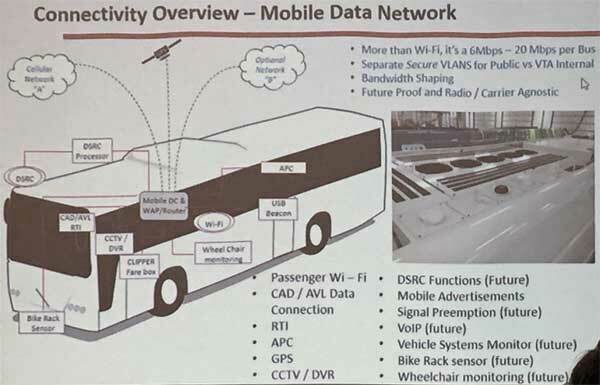 This includes wireless communications on reserved frequencies and perhaps a dedicated WiFi network throughout the city and, if there are high-rise buildings that limit penetration of wireless, it may require DAS, distributed antenna systems, inside the buildings. 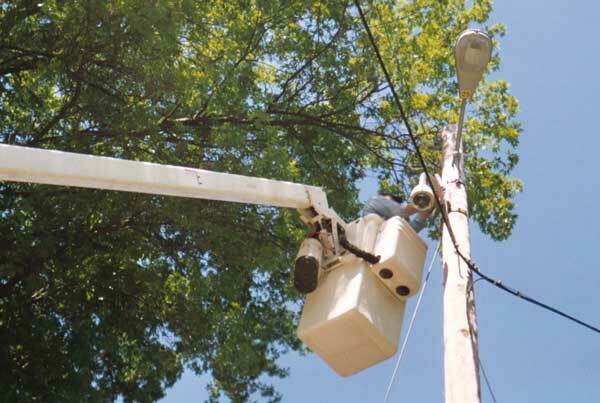 Surveillance And Sensors - traditionally video surveillance has been the focus of city-wide surveillance. 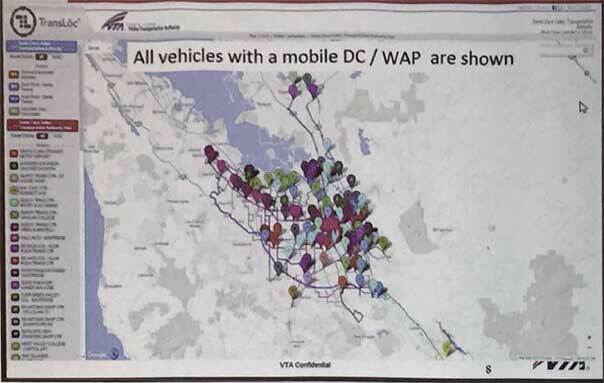 These videos have been instrumental at preventing and solving crimes in many cities by identifying people. New types of sensors are being deployed, including gunshot sensors that can detect gunshots and locate the source using sophisticated audio techniques. Now the usefulness of those cameras can be extended to tracking traffic for smart vehicles and helping control the movement of traffic. As semi- and fully autonomous vehicles begin using public streets, car-to-car and car-to-city communications are expected to be needed to facilitate this transition. Education - connect schools, libraries, and the citizens to share information and optimize the educational experience for all. Students learn to use the Internet in ways that facilitate their work in high-tech companies in the future. The Internet Of Things - IoT is an overused and little understood term that seems to imply that all sorts of things communicate over the internet creating a communications environment that facilitates the development of logical connections for improving the quality and economics of services. It implies that Internet connections, wireless and landline, is everywhere and cheap enough to allow connecting all sorts of devices. Data Centers - a Smart City generates and uses data - lots of data - to become and stay smart. Doing so requires a significant sized data center with sufficient storage, computing power and communications to handle the quantities of data generated, analyzed and transmitted. Such a data center can be a city facility or a cloud service hosted in the city. 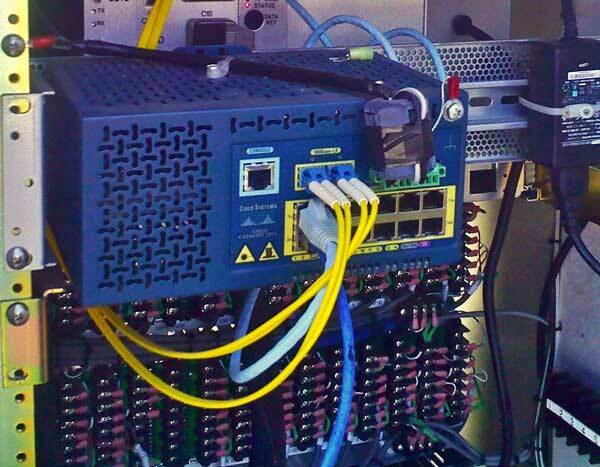 Data centers require really big, fast Internet connections, usually with options for the data center operators to bring in their own backbone connections. We include a data center as a required city service because Smart Cities are built on data. 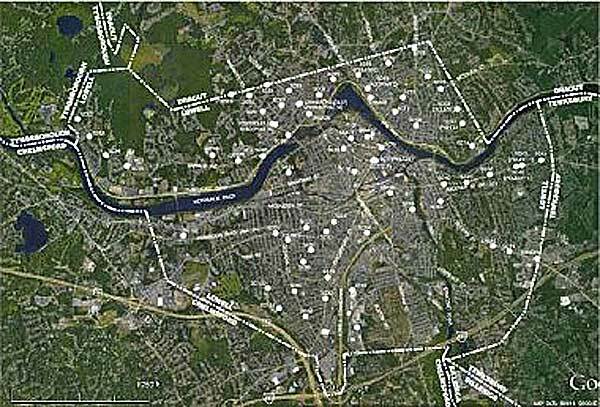 A large city could require a data center approaching the size of the mega-data centers being used by the large Internet companies or cloud service providers. Smaller cities of course can use smaller data centers or cloud service providers. But provision for acquiring, analyzing, utilizing and storing such large amounts of data requires planning for facilities and the personnel to operate them as well as sufficient communications services to handle the massive amounts of data involved. Partnerships - Smart cities require cooperation. Some of the services mentioned already exist in many cities but often are owned and operated by different entities. Duplicating resources is costly so sharing of resources, especially backbone fiber, is recommended, with appropriate compensation, whenever possible. For instance, a single street light can provide lighting, video and/or radar for surveillance and traffic management, WiFi for private and public use including vehicle communications, locations for small cell telecommunications, weather and pollution monitoring and other yet unforeseen services. More on the applications of fiber optics. (C)2017, The Fiber Optic Association, Inc.